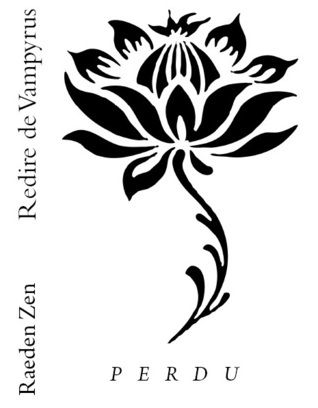 I’ve had Perdu (by Raeden Zen) for quite some time, having picked it up from the Amazon free list over two years ago. Ruth and Eugene Flowers desired the American dream: two kids, a big house, and a dog. But it wasn’t meant to be–at least not initially. When a surprise package literally fell into their laps, however, the Flowers would finally get their wish (sort of). Soon, it all goes awry, as mysterious deaths followed by a disappearance permanently disrupt their lives. Meanwhile, many years later, a grown-up Valerie Green, a nearby neighbor’s daughter and high-school sweetheart of their son, Zan, hits it huge in the Big Apple, first landing at Columbia University, then at the New York Pioneer, the hottest online periodical in the city. When she is forced to cross the path of hotshot FBI special agent, Dr. Devean Rasr, she doesn’t realize she is also wading much deeper into the biggest, most dangerous, and most challenging killing spree in the history of NYC. This book is a mess. There’s no identifiable main character. It has no consistent timeline. Characters make absolutely unfollowable leaps of logic. Clues conveniently pop out of nowhere. The villain is a character that literally isn’t in the novel until the reveal and then isn’t in it after, so a nobody. There are several info-drops, most of which is pointless information that is never utilized. There is constant head hopping. Characters appear and disappear as needed. No one have believable emotions. The dialogue is stilted. The love is unfounded and baseless. Pretty sure I have nothing positive to say about any of it….Ok, it was short and I like the cover. 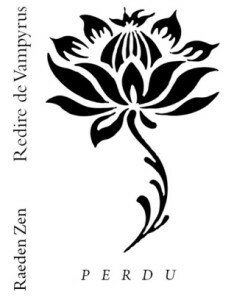 This entry was posted in books/book review, Challenges, First Reads 2015, indiefever 2015 and tagged #indiefever, book review, challenges, fantasy, Indie, vampire on December 14, 2015 by Sadie. I downloaded a copy of Colorado Wild, by Sara York, from the Amazon free list. When love sneaks up on you, shoot for the heart. Billy Bradford has a secret, and it’s bigger than the fact that he’s an assassin. When Tucker Hayes, Billy’s straight best friend, is injured on a mission, Billy acts in haste, kissing Tucker. Shocked by the act, Tucker runs. But desire is stronger than convictions, leading Tucker to hunt down Billy. The other guys on the ranch are oblivious to Tucker and Billy’s actions as they investigate a new target. Grant Stovall is hung up on his ex, but Roger Burk, their new operative, catches his attention and one small touch isn’t enough. Meet the cowboys of Wild Bluff Ranch in the first book of the Colorado Heart Series, Colorado Wild. Wow, um, wow. That’s about the most coherent thought I can manage on this book. It’s totally illogical, overblown and unfocused. I mean, despite what the blurb suggests, it doesn’t even have a main character. What do you do with a book that doesn’t have a main character or couple? What do you do? (As an aside, that blurb is totally inaccurate anyway.) There’s no plot. The characters do everything from pine for one another to assassinations to buy a horse that randomly gets bitten by a snake. There’s insta-lust and a relationship that goes from 0 to 4,000 in about a page. There is endless agonizing over if the characters are a couple yet and if they’re gay or not, all in artificial and exaggerated ways. There’s pointless past trauma that is too much to be believed. There is telling, telling, telling about how wonderful and significant and ‘I’ll be with you forever even though we’ve been a couple for 2 days’ the characters feel, all adding up to basically nothing. Nothing that happens is believable. None of the emotions read as believable, not even the lust (though that’s not really an emotion, I suppose). These men are supposed to be super elite soldiers and assassins, but they agonize over everything like teenager, and I don’t just mean the emo stuff (though that’s non-stop from page one) but if a teammate gets injured or is doing his part of a mission out of sight or killing. All the things a highly trained soldier would take in stride (and we’re told they do) they are shown to whinge about. And the technical aspect of these soldiers? “…are you sure this little black box will disrupt them?” Seriously, that’s how they talk about their tech! Nope, this was a total strike for me; almost nothing to recommend it as far as I’m concerned. This entry was posted in books/book review, Challenges, First Reads 2015, indiefever 2015 and tagged #indiefever, book review, challenges, M/M, romance on December 13, 2015 by Sadie. 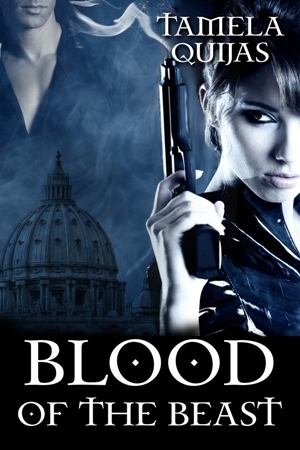 I grabbed a copy Blood of the Beast, by Tamela Quijas from the Amazon freebie list. There is a scent that fills the night, far more delicate than the beat of the heart, more fragile than the whisper of breath escaping human lungs. The echo that fills the darkness is the scent of blood pulsating through the mortal body. Commonly overlooked by those among the living, it is a sound fervently sought by those residing on the fringes of the world existing between the living and the undead. Blood is what the beast craves. Detective Valentina Kureyev had been assigned to one of the worst murder cases of the century. A serial killer haunted the streets of her city, depositing bloodless corpses throughout the section of town known as Little Europe. She hadn’t a clue to the identity of the culprit. As real as Demetri Daskova. The Professor of Russian Antiquities had been targeted with the murderer’s special form of a calling card. Val couldn’t turn away from his offer of aide in the bizarre case, even though he whispered tales of ‘those that walked on the dark side of the moon’ and the beast that hungrily fed on human blood. He was the primary suspect. Good lord that was just horrible. I almost didn’t even make it through the prologue. But it’s the end of the year and I’d set myself an alphabet soup challenge (read a book by an author for every letter of the alphabet) and I only have Q, X,Y & Z left and I DNFed my Y yesterday. So, I wasn’t going to do the same with my Q. So I was trapped with it. Eventually I just started reading passages aloud to my husband, because sharing the shocking horridness and strange, STRANGE over-use of the word quiver/quivering was the only way I could keep going. (Seriously, the word is used a lot, often in questionable ways.) The whole book is painfully wordy. No one has gold eyes, they’re golden hued eyes, etc. It contradicts itself. It is painfully dependent on tropes. There is no palpable chemistry between the characters. The female MC is pathologically angry and extremely unlikable (but all the men lust after her). The male MC was a jerk in the beginning and we’re never shown that he changed. It’s just supposed to be assumed. In addition to too many words, there are also misused words, missing words and anachronistic language. The villain is a cliche scorned woman (who spent one purchased night with the man she goes bad over) and the whole thing was just jumpy and clunky. But hey, the author’s name is Quijas, so it’s all good. This entry was posted in books/book review, Challenges, First Reads 2015, indiefever 2015 and tagged #indiefever, book review, challenges, fantasy, Indie, KDP, PNR, romance, vampire on December 12, 2015 by Sadie.